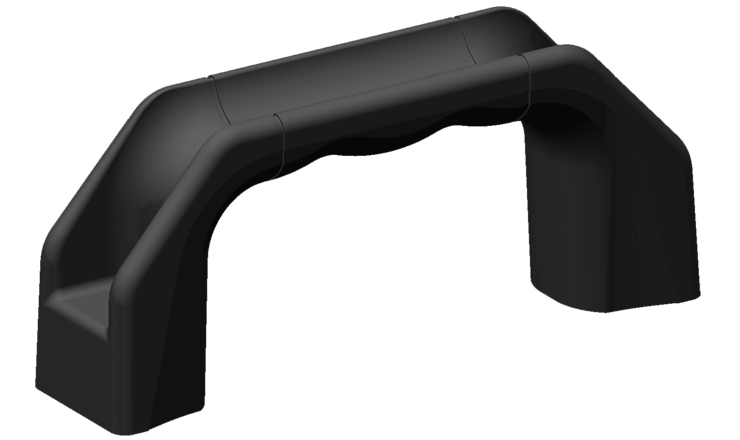 MENTOR’s plastic handles are cost-effective, versatile and easy to install. 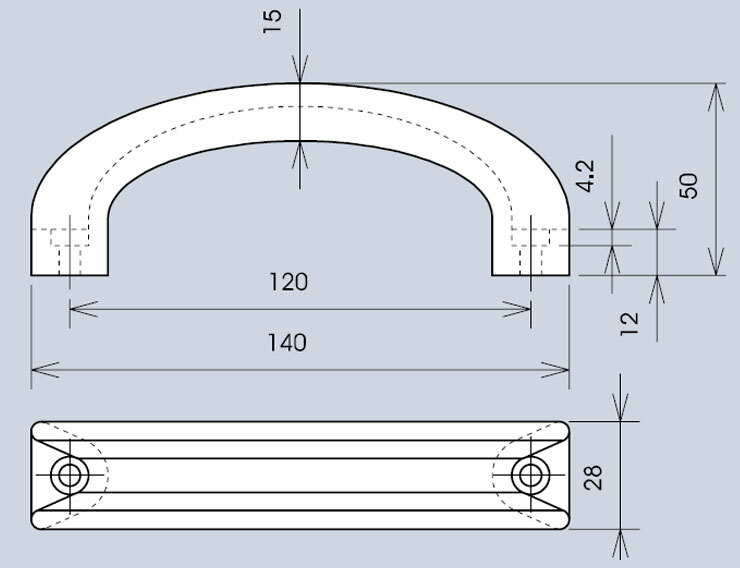 The range offers many bow section designs using single-plastic or two-plastic construction, including handles for various load capacities and temperature requirements. 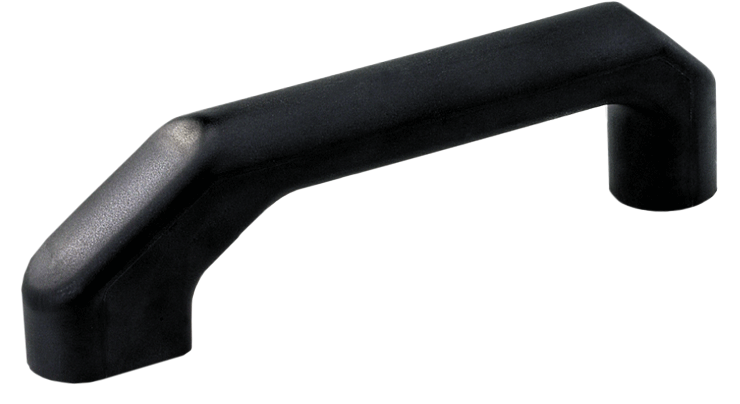 Many plastic handles are available ex-stock with short delivery times and small minimum order quantities. 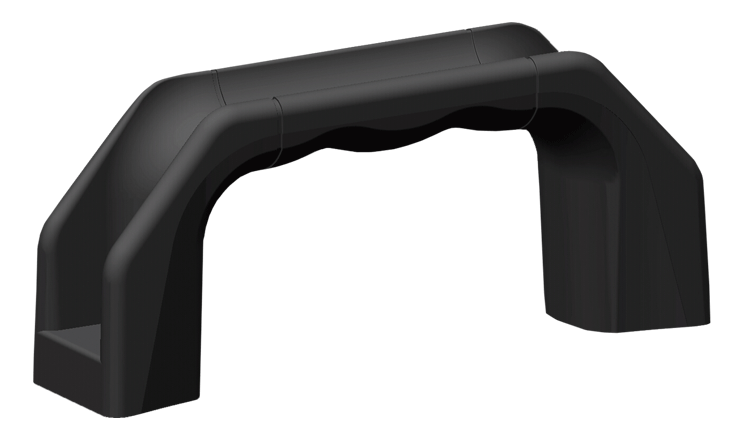 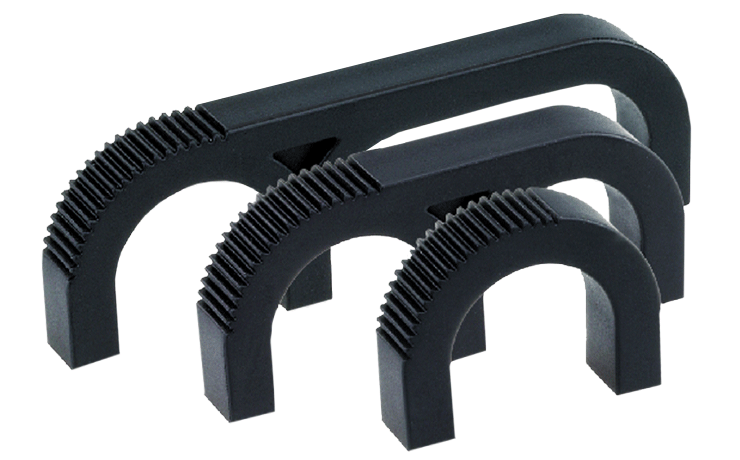 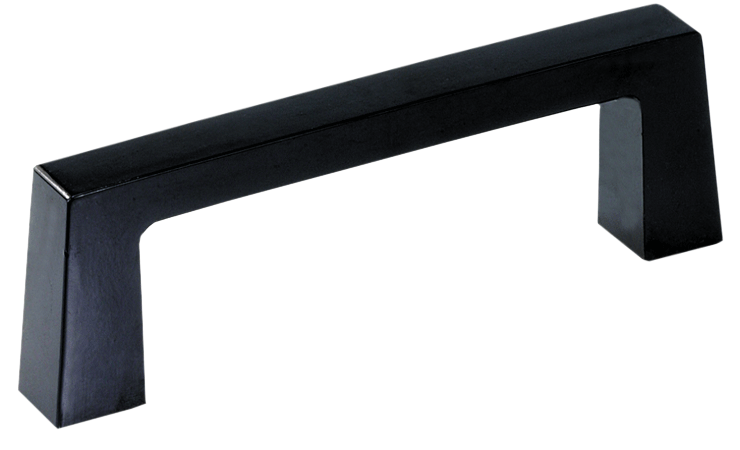 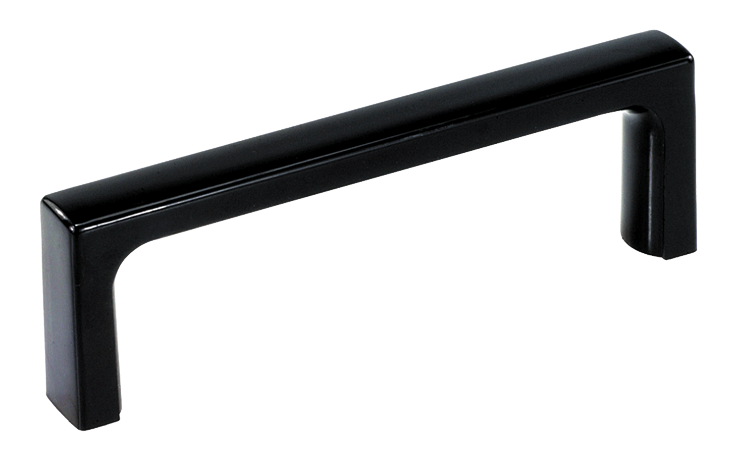 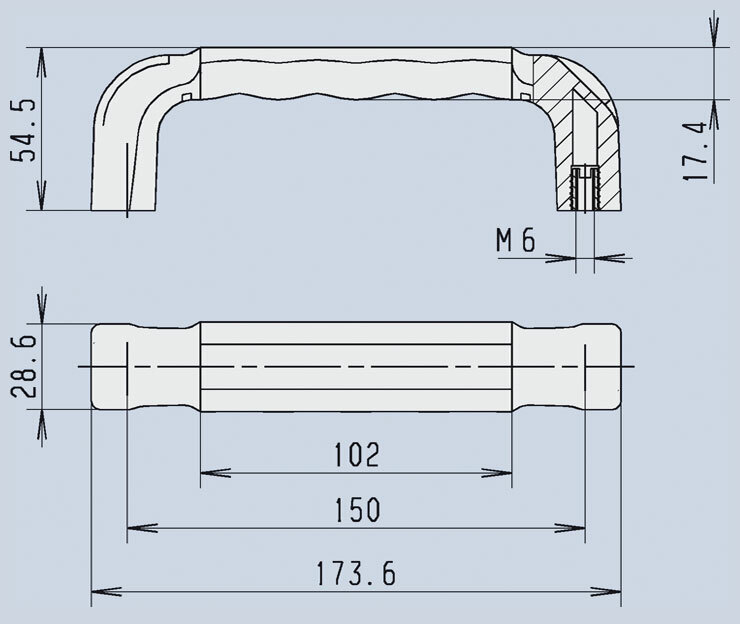 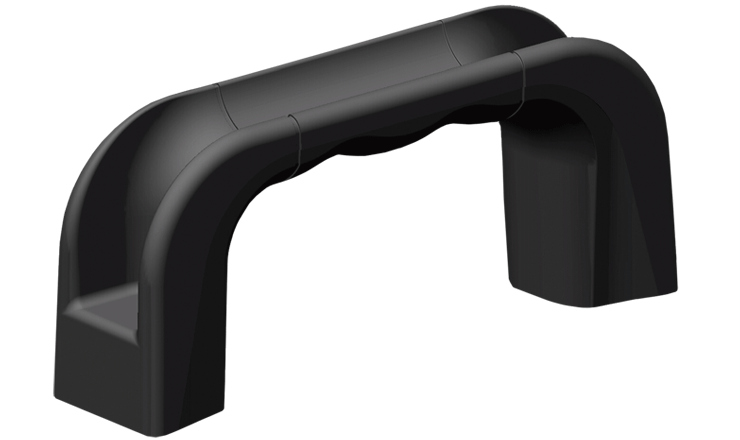 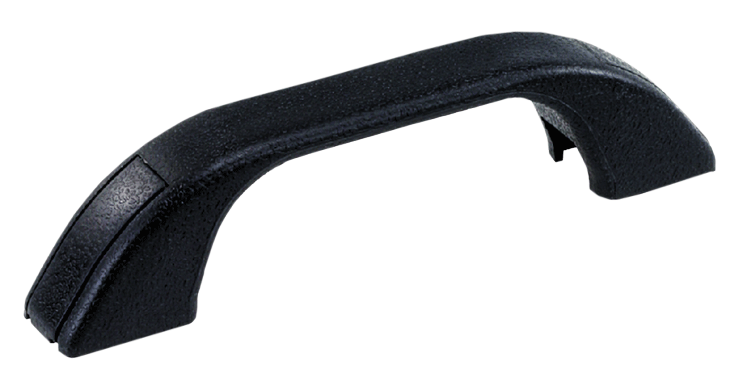 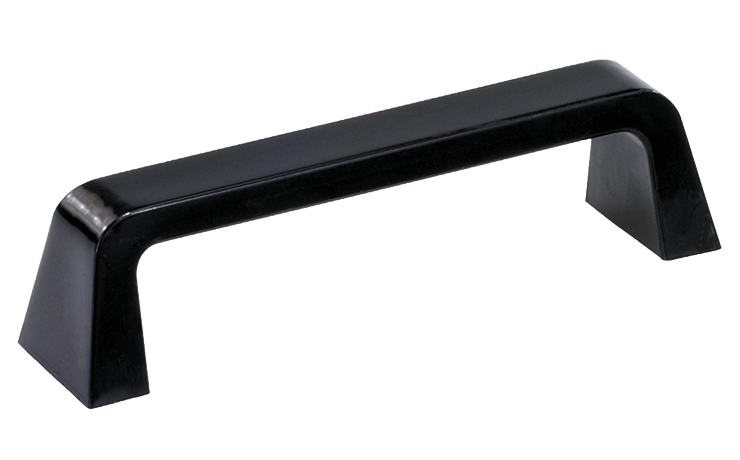 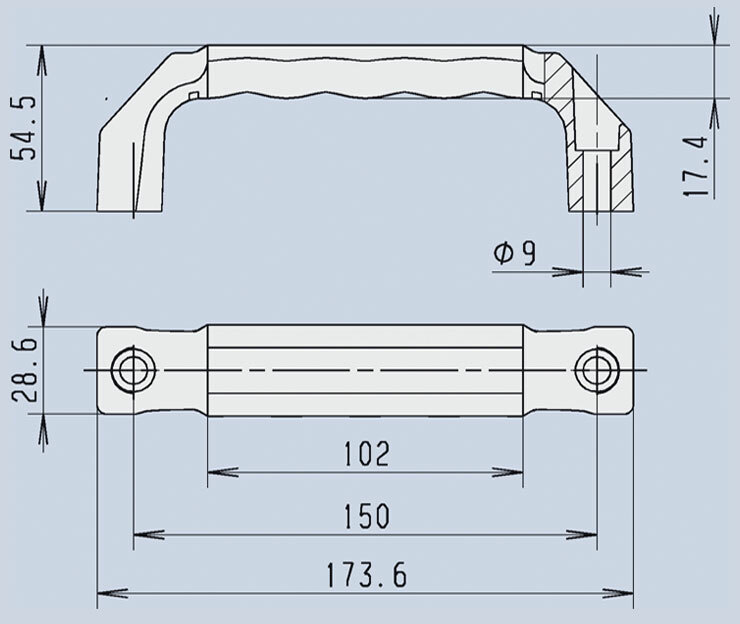 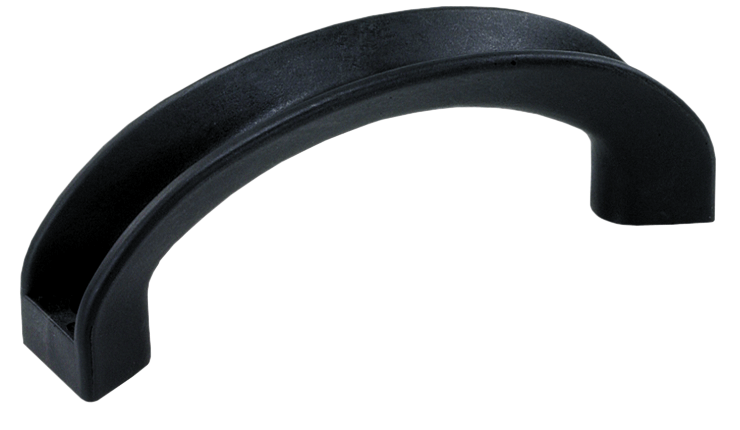 MENTOR offer handle designs made with highly durable heat resistant plastic - Black Duroplastic Type FS 31 - with threaded steel inserts to offer a maximum operating temperature of 100°C. 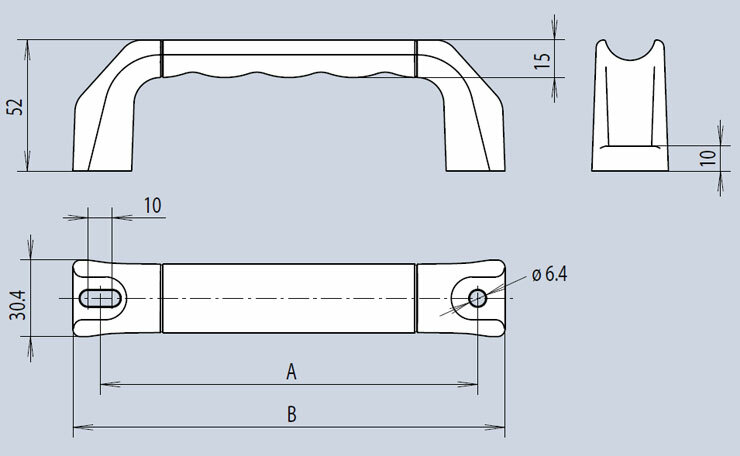 Customised options include different shapes, colours, radii and dimensions. 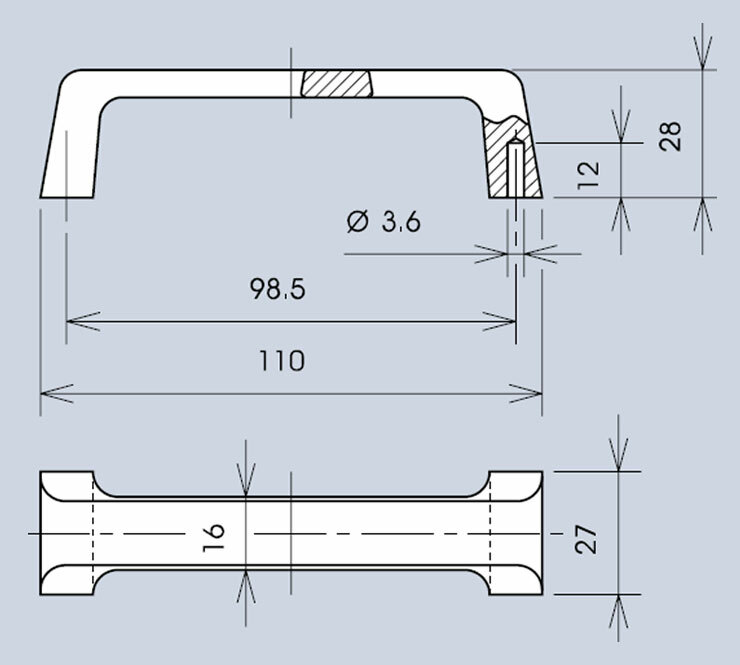 A family of front-fixing handles featuring one slotted fixing hole and one circular fixing hole. 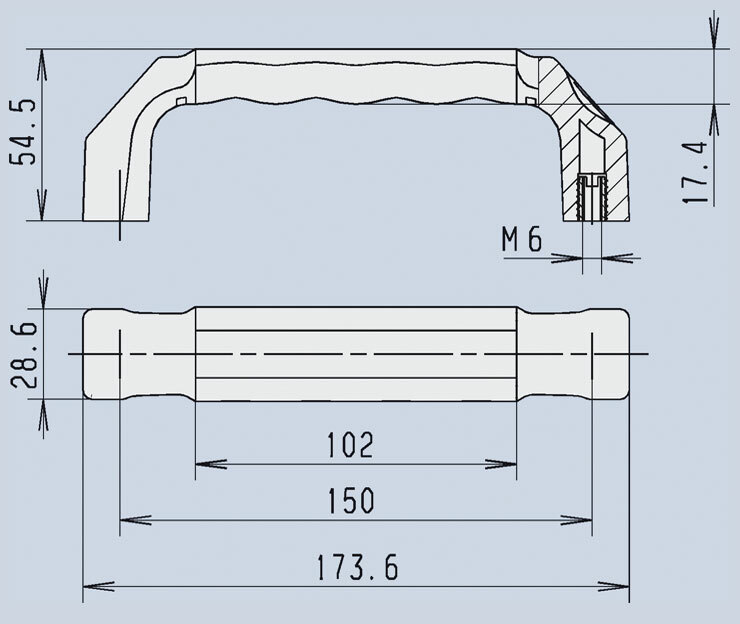 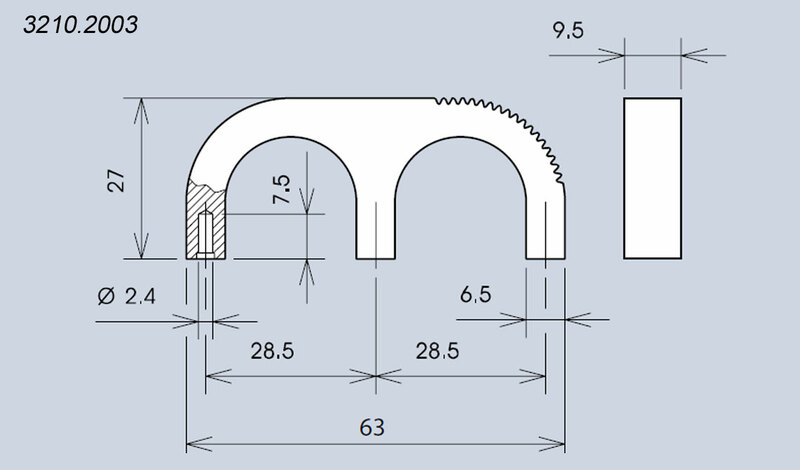 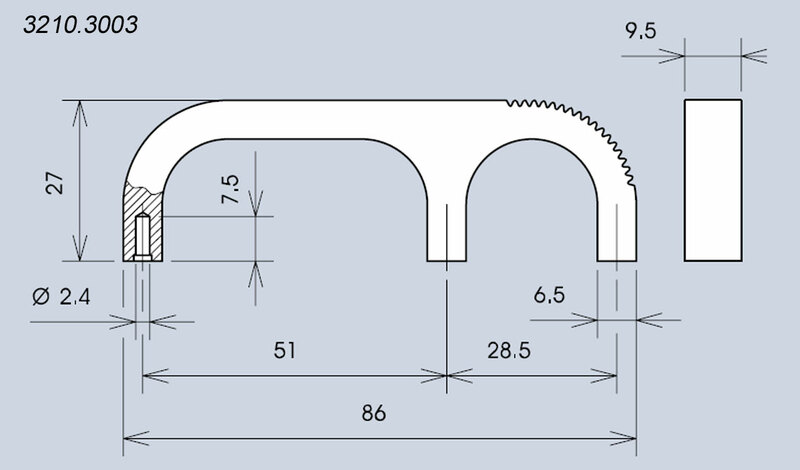 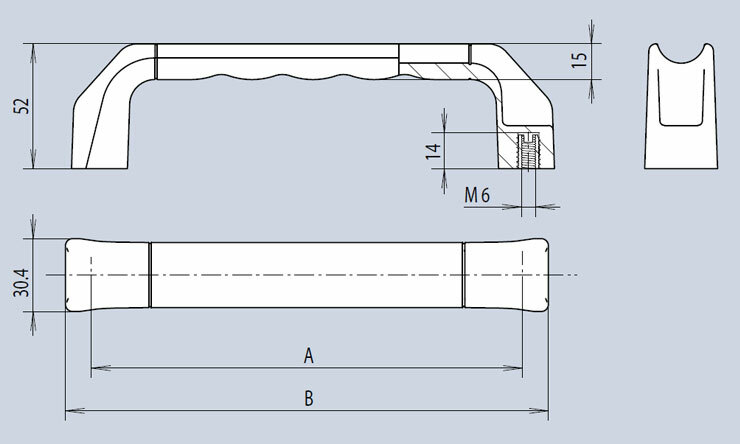 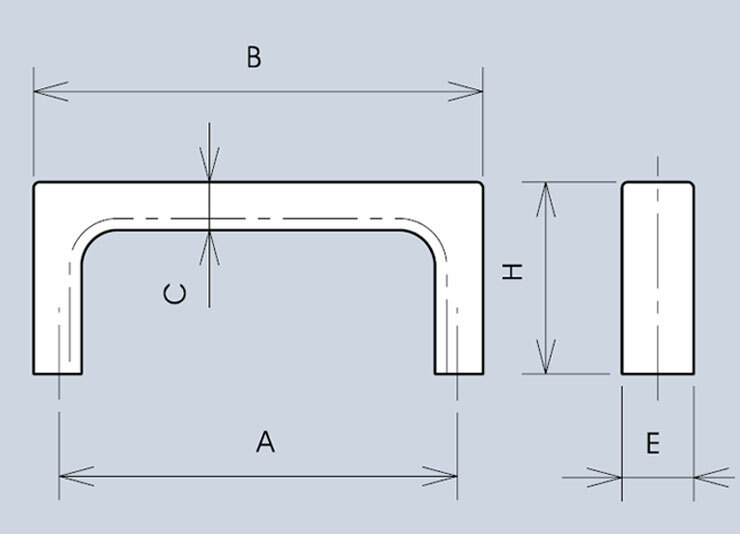 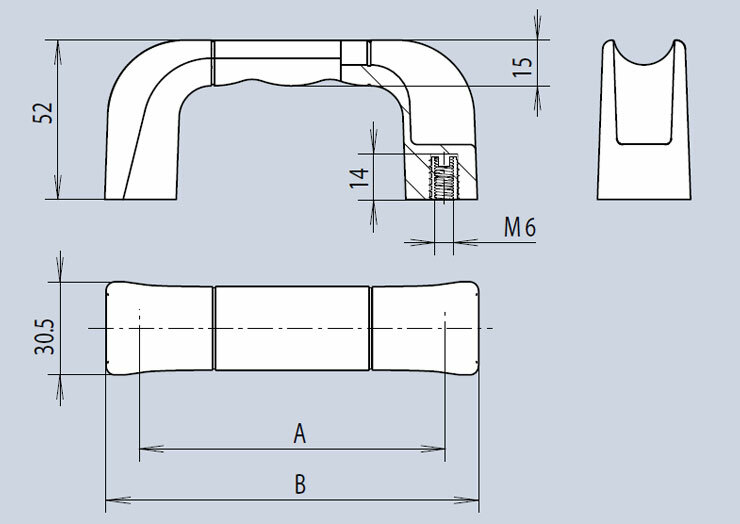 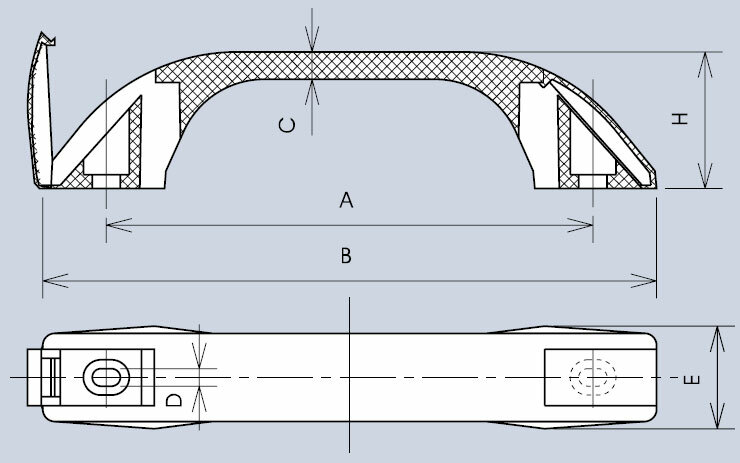 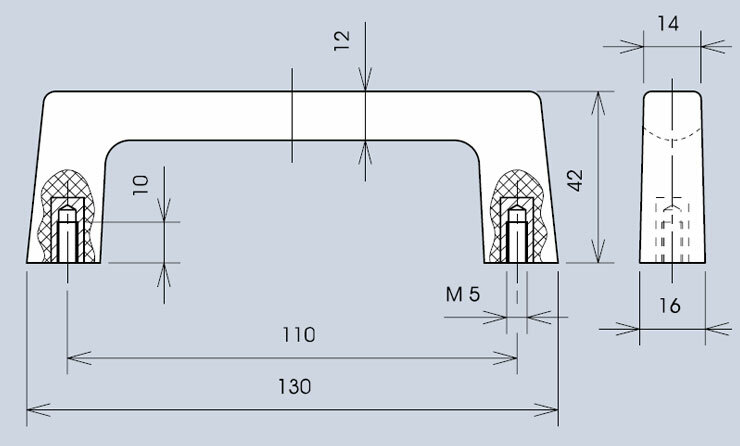 The slotted hole design means every hole pitch dimension has “latitude” i.e. 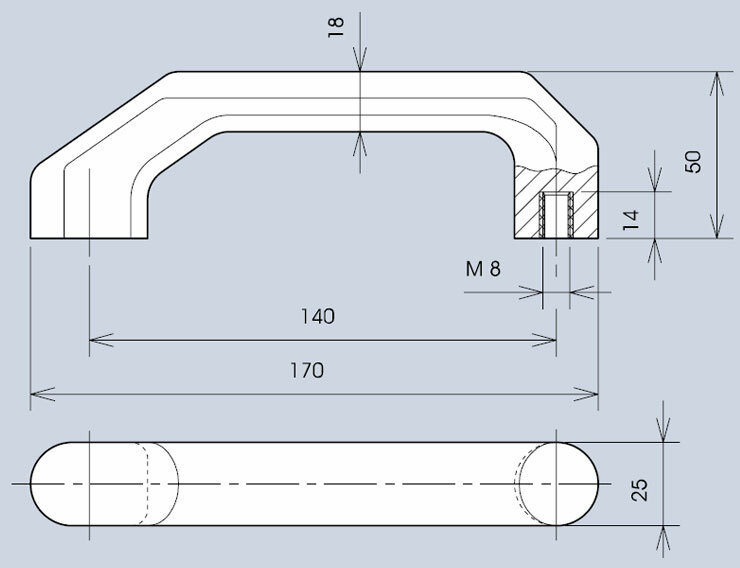 a movement of 5mm either way, making 10mm in total. 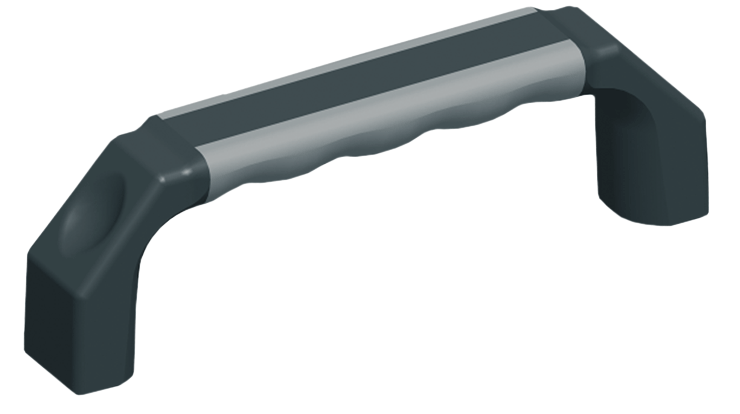 Special adjustable tooling allows for non-standard pitches of between 95mm and 185mm to be manufactured without any extra tooling cost. 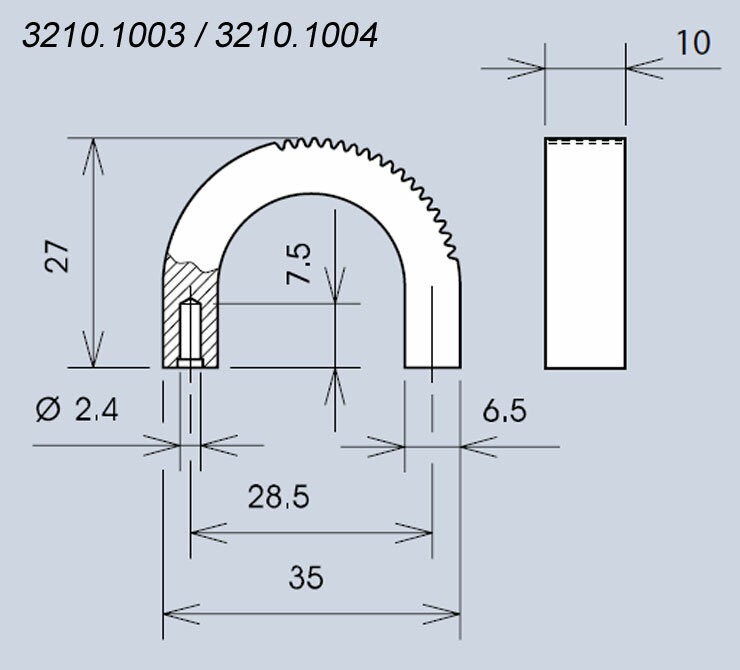 The MOQ is 2,000 pcs.